Juvalux Anti-Aging Cream Review: How does it work? Are you tired of having to skip from one anti-ageing product to another because of your disappointment over undelivered claims? You’re not alone. While skincare manufacturers have been busy making false promises to secure their own spot in the billion dollar skincare industry, commitment to deliver real, lasting results that diminish and even reverse wrinkles and other signs of aging has been on a steady decline. It seems, makers have grown to pay more focus in gaining new markets and niches, rather than improving customer satisfaction and loyalty. Trust can be difficult to manage in this largely market-focused atmosphere prevalent in the skincare industry. Another new anti-ageing product that has seen considerable online visibility and publicity lately is Juvalux. Like many of its counterparts, Juvalux claims to be your ultimate solution to make less prominent the many different signs of skin ageing that includes wrinkles, fine lines, age spots, discoloration, among others. Might this product be worthy of your slightest attention? Should you love it or ditch it? The value proposition of Juvalux is that it is the answer to your ageing skin problems and that it delivers both instant and long-term results. It claims to do so by treating your problem areas — making lines and creases less prominent, and brightening dark spots on your skin — while also preventing new signs of skin ageing from manifesting. The result you should expect according to its maker, Juvalux will smoothen out your wrinkles and brighten up your overall complexion. The complete product ingredient list for Juvalux has not been publicly disclosed. However, there is mention of peptides being part of its formulation. 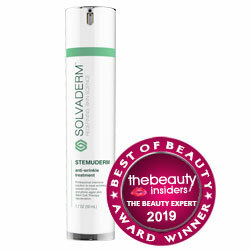 Peptides, short chains of amino acids that help firm up your otherwise saggy skin. Peptides also support the more rapid production of collagen and elastin in larger volumes. These two natural skin components facilitate several repair and regeneration processes that not only moisturizes your skin but also patches up areas where restructuring is called for. Overall, peptides help transform your dull skin to become brighter and more vibrant looking. Use Juvalux only on thoroughly cleansed face. Tone if deemed necessary to clear skin further of excess oil and dirt trapped in your pores. Apply Juvalux to your face and neck. Massage in until fully absorbed. Use under makeup during the day, and apply bare at night. Juvalux is one of those products exclusively available for online purchase only. In this case, make sure to read the terms and conditions carefully so you only sign off on what you are willing to agree with. Wrinkles and other multiple signs of skin ageing can be a tedious task to manage. Sometimes it is the product’s proposed solutions and makeup that are problematic. Sometimes, it is the unrealistic expectations of consumers. When using topical solutions, please keep in mind that these will hardly give you the dramatic results you want to see but, products such as Juvalux can help enhance your anti-ageing skin regimen.